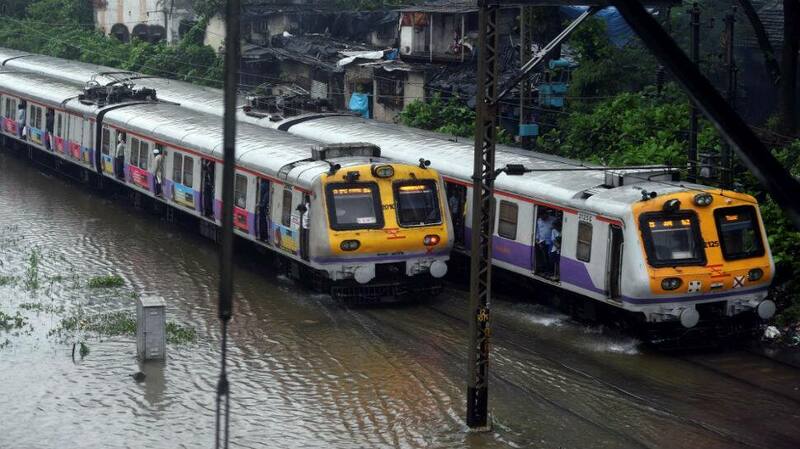 Mumbai has received 250mm of rainfall in just two days with Met department predicting even more. Mumbai turns into a new and beautiful leaf each monsoon with dark clouds bringing much joy to the busy city that claims to never sleep. With it though, comes the daily struggles of commuting with water-logged roads and ocverflowing drains threatening both man and machine. This year has been no different with very heavy and continuous rain from late Sunday night wrecking havoc in the city. The roads have gone under and where they haven't, potholes dictate terms. While the indomintable spirit of Mumbaikars is saluted each year, the local civic authorities and their claims too are lambasted every single year. And with more rain forecast in the coming days, things are unlikely to get any better. The Met department has rolled back warning of heavy rain for Mumbai. Intermittent rain to continue for the next 24 to 48 hours. According to Skymet Weather, Santa Cruz has received 53mm of rain in the last 24 hours starting 0830 on Monday morning. Colaba has received 4mm of rain. The traffic situation in Mumbai is reportedly far better than it was at the same time yesterday. No delays in railway lines reported either, so far. It is not just Mumbai which is expected to once again receive heavy showers. Click here for the country-wide weather forecast for the day. It's not all glum and gloomy in the city as locals shared numerous jokes and anecdotes to stay afloat even as their city drowned. Click here to read. Private weather agencies warn that the current weather pattern over Mumbai could be similar to the conditions seen on July 26 of 2005 when heavy showers paralysed the city and left a large number of people either dead or injured. Most parts of the city and adjoining areas saw heavy to heavy showers most of Monday night and early Tuesday morning hours. The Met department has said that the city has received 250mm of rain in just two days of June 24 and 25.